Translated from Chinese by Stefanie Zhou. Edited by Peter L. McGuire. When the Berlin Wall fell and the Soviet Union collapsed, the American scholar Francis Fukuyama declared the “end of history,” meaning that the Western political system had achieved a permanent victory. In Fukuyama's view, countries with different civilizations are like moving trains. Some are disoriented and some are derailing halfway, but in the end, all will make it over the mountains, through the tunnels, and will enter the hall of Western democracy. 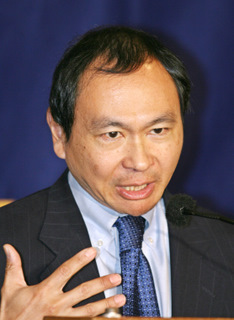 Surprisingly, in “Foreign Affairs” this year in the United States, Fukuyama published the article “The Future of History – Can Liberal Democracy Survive the Decline of the Middle Class?” that completely overturned his own original viewpoint on the “end of history.” The article points out that the middle class in the United States and Western countries is declining and it will cause the liberal democratic system to lose its original support. Fukuyama believes that technological innovation and globalization undermined the basis of the middle class, causing only a few people to be able to obtain the status of the middle class in developed societies. 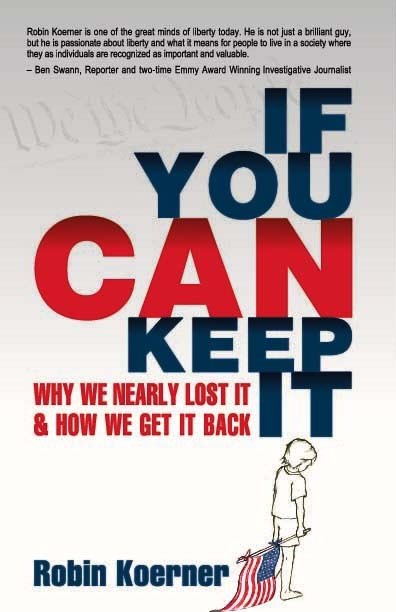 Over the past generation, the United States tried to narrow the gap in the standard of living [between the well-off and poor] through the risky practice of loan provision to low-income families, which ultimately led to a break in the financial chain and the financial crisis. Meanwhile, because China and other countries continue to buy U.S. Treasury bonds, capital unceasingly flows into the United States, giving Americans the illusion that their living standards improved steadily over the past 10 years. The result is that Americans now can enjoy many modern high-tech products, but increasingly cannot afford their own housing, health insurance or pension expenditures. Fukuyama observed that what is worse is that the economic benefits of technological innovation are held by a handful of elites, which exacerbates the inequality problem in the United States. In the era of textile, coal, iron, steel, and internal combustion predating industrialization, technological innovation could lead to a rise in employment. However, in an era of “smart machines” and “globalization,” every great technological advance leads to unemployment for large numbers of low-skilled workers and an outward flow of jobs; only financial prodigies and software engineers can gain more national wealth. Where is the crux of the dilemma faced by the United States today? Fukuyama’s deduction at least gives us part of the answer. Nevertheless, Fukuyama pins the frustrations of the middle class to non-human factors – technological innovation and globalization, and does not put forward any sharp criticism for deficiencies in the system of the United States or the economic and social policies of the U.S. government. In reality, the United States already has unprecedented internal problems. In the past 10 years, the economic growth rate of the United States has slowed down significantly. U.S. government debt as a share of GDP increased from 56.4 percent in 2001 to 90 percent in 2010. The 10-year-long recession in the job market parallels the sluggish economy. Since the financial crisis, the possibility for the two parties to agree or comprise with one another in the American political procedure is getting increasingly difficult. Deadlock between the Democratic and Republican parties continually occurs – votes on the health insurance reform bill in Congress are entirely based on parties, which is extremely rare in history; difficulty in passing the budget bill in Congress almost caused the federal government to close down, similar to what happened during the Clinton administration. These frequent phenomena, as well as the two mass movements reflecting opposite political positions – the Tea Party movement and “Occupy Wall Street” that are prevailing at the same time in the United States – are all closely related to the polarization of American politics. Fukuyama sees the biggest challenge of freedom and democracy to be “from China” and believes that China not only has a dynamic open economy, but also demonstrates remarkable political abilities and is a “combination of authoritarian government and local market-oriented economy.” However, at the same time, he also believes that the Chinese model has many defects and is difficult to replicate in areas outside East Asia. So where is the future of liberal democracy? Because questions about the policies and institutions of the United States cannot be raised, in reality, Fukuyama cannot give out any prescription for the current problems encountered by the United States.